While the U.S. economy is near its strongest levels in 50 years as measured by unemployment, GDP, and wage growth, these trends are likely mean-reverting over time. 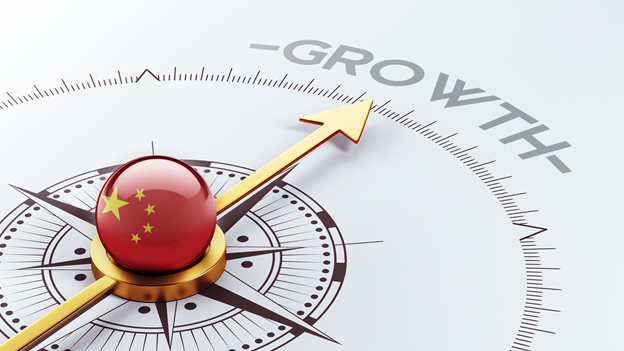 Specific pockets of the financial markets, including emerging markets and technology, may offer opportunities of sustained growth through an economic slowdown. Opportunities within fixed income include emerging market debt and total return strategies. The U.S. stock market has been put to the test in recent years, showing its resilience in the face of such headwinds as trade skirmishes with the country’s largest trading partners, a 35 day government shutdown, climbing federal debt, uncertainty in Washington on multiple fronts, uncertain future Fed policy, and geopolitical concerns among many others. But despite these headwinds, markets have marched on, as has the U.S. economy. Unemployment, at 4.0%, has recently been as low as 3.7%, the lowest in about 50 years. At the same time, labor participation has improved largely driven by a greater number of job openings and rising wages. These factors, along with advances in technology and productivity, have driven GDP growth to levels not seen in decades without pushing inflation higher. In the last 10 years since the Great Recession, growth has been apparent in both stock prices and economic output. 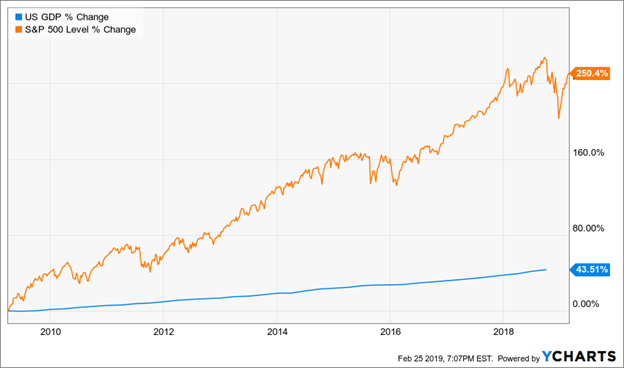 The S&P 500 has climbed 250%, excluding dividends, while GDP has grown by nearly 44%, both reaching all-time high levels. One of the biggest threats to the strong economy, beyond the headwinds listed above, is the strength itself. With an increasing number of job openings, fewer candidates, and rising wages, companies will inevitably see margins narrow as costs increase relative to revenue. While a slowdown or recession is likely to be shallow in this scenario, it is worth understanding the implications of slower growth on portfolios and how to position them accordingly. In any economic or market environment, there are winners and losers. There are areas with continued growth while others stall and sometimes wither and die. Investors need to understand the difference between secular growth and cyclical growth. They need to understand the role leverage has played for some companies in pursuing faster growth, and that this leverage makes these companies more fragile during an economic slowdown. While searching for faster growing assets, investors also need to pay attention to valuation. This last factor is what makes emerging markets attractive now, and possibly even during a slower growth environment in the U.S. The GDP and standards of living in emerging markets increase faster than those of developed countries for a number of reasons. In some cases, it is migration of workers from agricultural jobs to manufacturing jobs in conjunction with a move from rural to urban living. Emerging economies benefit from infrastructure investments that make faster economic growth possible. They are also sometimes able to leapfrog stages of development by adopting new technologies from the developed world (e.g. adopting cellphones while skipping landlines). In the near term, it is reasonable to expect emerging market assets to benefit from foreign exchange effects. While a strengthening dollar was a headwind in 2018, a stabilizing or weakening dollar would act as a tailwind for future returns in this asset class. Gaining exposure to emerging market equities can be done using low-cost, broadly diversified mutual funds and ETFs. For example, the Schwab Emerging Markets Equity ETF (SCHE) is a highly diversified portfolio of over 900 stocks with an expense ratio of 13 basis points. The Vanguard FTSE Emerging Markets Index Fund ETF (VWO), which costs 12 basis points, is even more diversified with over 4,000 individual positions. Again, these two ETFs will provide broad exposure to emerging markets on a market cap-weighted basis. 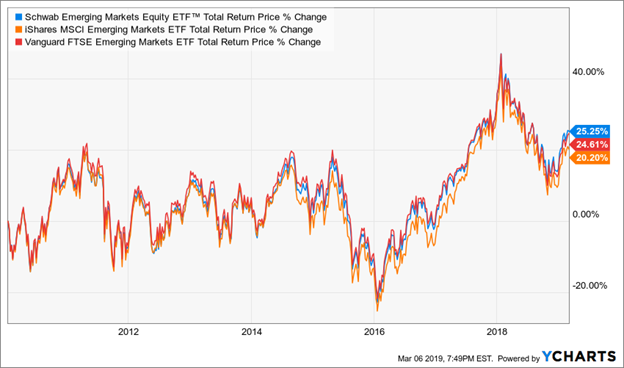 The popular iShares MSCI Emerging Markets ETF (EEM) is also market cap-weighted with the largest positions in Tencent Holdings (OTCPK:TCEHY), Alibaba (BABA), Taiwan Semiconductor (TSM), and Samsung Electronics. The largest sector allocation within EEM is to financial services, representing about 25% of portfolio value. A second area where growth is likely to continue regardless of broad economic conditions is within technology. Specifically, companies involved with AI, robotics, 3D printing, autonomous vehicles, cloud computing, biotechnology, etc. are likely to keep growing at above average rates as their technologies move from initial commercialization to widespread adoption. Two relatively new ETFs in these areas include the ROBO Global Robotics and Automation Index ETF (ROBO) and the ARK Innovation ETF (ARKK). ROBO holds a portfolio focused on companies within the robotics, automation, and AI industries with diversification across geographies and market caps. It has an expense ratio of 95 basis points and holds a portfolio of about 90 individual stocks. The ARK fund is also globally diversified, but is more concentrated with only about 34 individual stocks. It is important to note that the largest position in the ARK fund at almost 9% of portfolio value is Tesla (TSLA), which has materially outperformed the S&P 500 since going public, albeit with much more volatility. Like emerging market equities, emerging market debt may also become more attractive in an economic slowdown. Countries in the developing world experience higher growth rates, and this is financed, at least to some extent, by sovereign debt. While real rates tend to be higher than those for developed countries due to higher perceived risks, these inherent risks can be mitigated through diversification of issuers, duration, credit quality, etc. as well through professional management in some cases. Investors have many options for gaining exposure to emerging market debt. For low-cost, passively managed strategies within an ETF structure, options include the Vanguard Emerging Markets Government Bond (VWOB), iShares JP Morgan USD Emerging Markets Bond (EMB), and the recently offered JPMorgan USD Emerging Markets Sovereign Bond (JPMB). 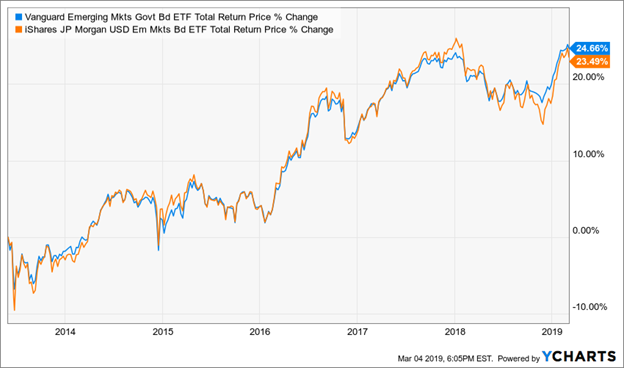 While the performance between the Vanguard and iShares funds have been similar, the Vanguard fund is less expensive at 30 basis points compared to 40 basis points for the iShares ETF. The iShares fund has a slightly longer average effective duration at 7 years compared to 6.2 years for the Vanguard fund, but it also has a higher average credit rating of BB compared to B for Vanguard. The top three allocations within the Vanguard portfolio are to China, Mexico, and Indonesia. For active management in the space, mutual funds are available from numerous asset managers including Vanguard, Lazard, Eaton Vance (EV), Goldman Sachs (GS), Lord Abbett, and others. For illustration, I will focus on the Vanguard Emerging Markets Bond Admiral shares mutual fund (VEGBX). At 45 basis points, it is more expensive than Vanguard’s ETF offering in the space, but it has more than compensated investors with return. Outperformance relative to the ETF has been driven by different exposures across the two portfolios. While the largest exposure within the ETF is to China, the actively managed mutual fund largely avoids China with its top three exposure to Indonesia, Colombia, and Mexico. Other differences include the longer average duration of 7.1 years for the mutual fund as well as its slightly lower exposure to investment grade issuances. Note that the admiral shares have a minimum of $50,000. Total return strategies may also become more attractive during a period of slowing, and possibly negative, growth. These strategies focus on both current income and capital appreciation across sectors within the bond market. Because of the nature of these strategies, it may make sense to allocate to an actively managed fund, despite the higher expense ratios. 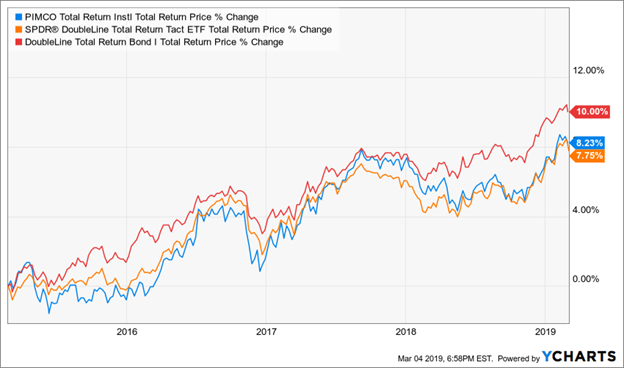 Three examples within this space are the PIMCO Total Return (PTTRX), SPDR DoubleLine Total Return Tactical ETF (TOTL), and the DoubleLine Total Return Bond (DBLTX). There are numerous other funds from asset managers as well as several share classes of each of the mutual funds, but I will focus on these three for illustration purposes. 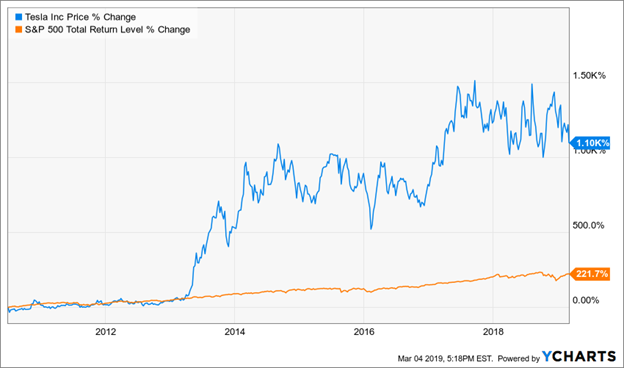 First, it’s important to note that the SPDR DoubleLine Total Return Tactical ETF is the only ETF of the group, but is no less expensive than the other two at 55 basis points. By comparison, PIMCO Total Return and DoubleLine Total Return Bond are 55 basis points and 47 basis points, respectively. However, the minimum for PTTRX is $1 million while for DBLTX it is $100K. Both funds have other share classes, but at different expense ratios. The SPDR DoubleLine Total Return Tactical ETF attempts to outperform its benchmark, the Bloomberg Barclays U.S. Aggregate Bond Index, through active sector selection, security selection, and gaining exposures not represented in the benchmark such as high yield and emerging market debt. The fund has an average effective duration of 4.2 years and SEC yield of 3.4%. Like TOTL, the PIMCO fund is benchmarked to the Bloomberg Barclays U.S. Aggregate Bond Index. The fund is globally diversified and has a primary objective of protecting the downside through a flexible strategy focused on identifying risks and opportunities across the fixed income universe. The fund has an average effective duration of 3.5 years and SEC yield of 3.3%. 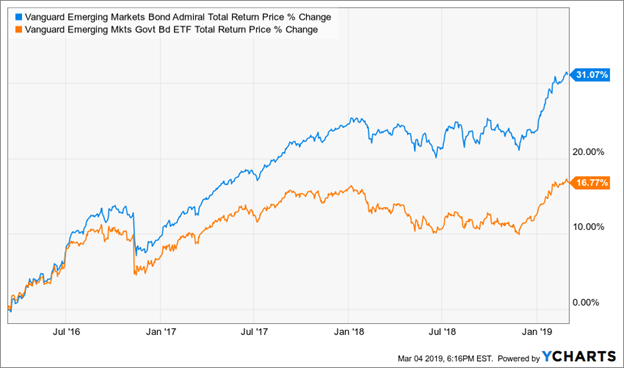 The DoubleLine fund, which has outperformed the other two over the last four years, has the same benchmark as the other two funds, but uses agency MBS, non-agency MBS, and structured credit to gain exposure to government and credit. The fund is mandated to invest at least 50% of its portfolio value in MBS and have no more than 33% exposure to non-investment grade securities. The fund has an average effective duration of 3.6 years and the highest SEC yield of the group at 3.7%. Of course, patient investors with strong stomachs could find growth in individual names like Amazon (AMZN), Alphabet (GOOGL), and Netflix (NFLX) to name a few. While it is reasonable to expect these companies to continue being long-term growers, their share prices are sensitive to market moves, sentiment, and headline risks like any other company. Although those factors are short-term considerations, it can be difficult for individual investors to stay the course. In an effort to avoid some of the short-term pain caused by volatility, it is helpful to purchase names like these at reasonable valuations. Of course, what’s reasonable is subjective and varies widely from one investor to the next. Despite the challenges, attempting to construct a portfolio of individual names, both high flying growers like those listed above as well as dividend growers is appealing in this environment. The dividend growers can be held for decades while their dividends grow, are reinvested, and generate attractive compounded returns for years. ETFs like the ProShares S&P 500 Dividend Aristocrats (NOBL) provide exposure to a basket of these names, helping to diversify idiosyncratic risks. NOBL currently has about 57 individual stock holdings, yield of 2.2%, and expense ratio of 35 basis points. This is an attractive option to complement a basket of individual, fast-growing, technology and communication services names. The ideas I described above can be interpreted as being tactical given the suggestions to add to specific areas within the financial markets. But instead of making tactical moves, the idea is to maintain a fully invested portfolio in an effort to avoid timing the market or making decisions based on emotion rather than evidence. The drivers of recent performance and volatility, including trade tensions with China, uncertainty around monetary policy, and concerns about global growth, among others, are likely to persist for the foreseeable future, and investors should respond accordingly. Using the above strategies should be looked at within the broader context of the global financial markets and sized appropriately. These suggestions are intended to be incremental moves that tilt the complexion of portfolio assets in a way that makes the ongoing volatility more palatable. Any overweight or underweight position to an asset class, sector, or equity style needs to be considered carefully to understand its impact on long-term total returns. I look forward to your feedback and answering your questions in the comment section below. Disclosure: I am/we are long SCHE EEM TSLA EV AMZN GOOGL NFLX. I wrote this article myself, and it expresses my own opinions. I am not receiving compensation for it (other than from Seeking Alpha). I have no business relationship with any company whose stock is mentioned in this article. Additional disclosure: Disclaimer: Please remember that past performance may not be indicative of future results. Different types of investments involve varying degrees of risk, and there can be no assurance that the future performance of any specific investment, investment strategy, or product (including the investments and/or investment strategies recommended or undertaken by Mosaic Advisors ("Mosaic"), including the author, or any non-investment related content, made reference to directly or indirectly in this commentary will be profitable, equal any corresponding indicated historical performance level, be suitable for your portfolio or individual situation or prove successful. Due to various factors, including changing market conditions and/or applicable laws, the content may no longer be reflective of current opinions or positions. Moreover, you should not assume that any discussion or information contained in this commentary serves as the receipt of, or as a substitute for, personalized investment advice from Mosaic or the author. Mosaic is neither a law firm nor a certified public accounting firm and no portion of the commentary content should be construed as legal or accounting advice. A copy of the Mosaic's current written disclosure Brochure discussing our advisory services and fees continues to remain available upon request.